With Arabic as the most important language for Islam, as the Qur’an is the speech of God (kalimat allah), revealed in Arabic, the lingua jihadica is likewise Arabic. 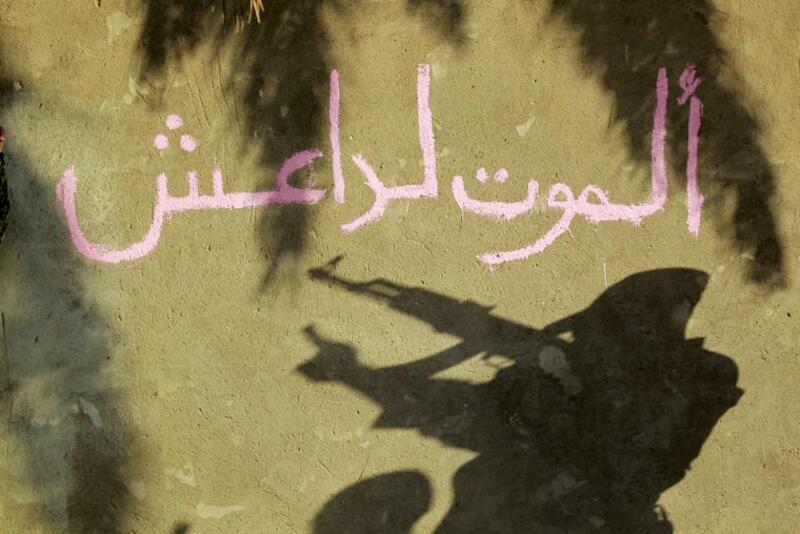 Arabic key words of the jihadist segment, as a consequence, have become a mainstream substrate in many non-Arabic languages where Islam has found a home, providing non-Arabic speaking sympathizers of jihad an everyday slang to identify with and use for their politico-religious rituals and codes of identification. This is of importance when studying Arabic jihadist materials, perhaps even more so in regards to social media jihad, as the questions and answers provided within this framework for operational or plainly ideological purposes produce new key words for the jihadist lingual substrate worldwide. The rise of the so-called ‘Islamic State’ (IS), in especially Syria and Iraq, and the influx of European, American, and Asian foreign fighters, who engage on behalf of IS in their respective languages on social media platforms to reach out to their communities of origin means that jihadi content and thus ideology is circulating amongst an ever wider audience. Lingual and theological assessment of jihadist propaganda is essential to understanding how jihadi ideology is conveyed, particularly how it passes from Arabic online networks to non-Arab(ic) networks. Just because the primary language of jihadist propaganda, consisting of writings and audio-visual productions, is Arabic does not mean the latter is accessible only to Arabic speakers. Video content especially has specific elements that render it comprehensible to non-Arabic-speaking audiences and to audiences that can speak Arabic, but cannot read it. Sub-titles in a variety of languages are oftentimes added to videos, for example, and video (and audio) productions are comprehensible to those that speak, but cannot read, Arabic. Furthermore, as a strategy, especially IS skillfully employs elements of visual literacy within their audio-visual productions. The visual literacy the young(er) generation is familiar with is conveyed by icons, symbols, and ritual acts while a customised jihadist rhetoric is embedded within this symbolism. Fighters embed these elements in general as legitimate acts sanctioned by divine scripture. Perhaps as an outcome of the influx of Arab Foreign Fighters since the 1980s to today, the similarities of ideological codes and codex are a driving force and an identity marker evident in audio-visual productions worldwide showcasing icons, and policy implementation used within offline territories under control of jihadist groups. In studying various related sources from different regions, one finds an increasing conformity and an in-depth unilateralism of these geopolitically diverse and divided groups since 9/11. Arabic sources and emissaries have an impact and are reproduced by jihadist and Islamist groups subscribing to this monopoly of truth – in Arabic as well as their respective local languages. Key words employed by sympathizers and media operatives alike aim to widen the appeal of jihadist ideology, while assuming a monopoly over the mainly Qur’anic terminology by extremist definitions. Deriving from the original Arabic, the key words are transcribed in Latin letters and are the most integral part of any non-Arabic language production. The use of these key words is significant to grade and understand what impact the Arabic-dominated ideology has on non-Arab majority societies, expressed both on- and offline. Dr Nico Prucha is VOX-Pol’s first Research Fellow, and is currently researching ‘Viral Aspects of Jihadism: The Lingual and Ideological Basis of Online Propaganda and the Spill Over to Non-Arabic Networks’ at the International Centre for the Study of Radicalisation (ICSR). He is fluent in Arabic.